When I originally gave Scrivener a whirl several years I didn’t know how the software worked. But I read several articles and posts about how other writers put this writing tool to good use. I took my time working through the provided tutorial after which I began using it with increasing regularity. Over the time I’ve used Scrivener, I shifted to using it for almost all of my writing. I’m so impressed with its usefulness, I’ve begun writing about this software to share my ideas. 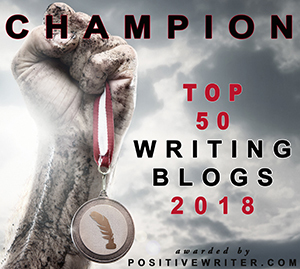 I’m getting lots of mileage out of blogging with it and used it for my newsletter and other writing projects, including freelance assignments. I’m better organized from the beginning of projects. Because Scrivener is an organizational tool, I’m able to develop structure from the beginning of the project. I can easily make changes to structure. Even though I’m structuring my projects well at the beginning, if I find I need to make big changes I can do so quickly and easily using the binder. I can turn out short projects at a faster rate. As I’ve written, I’m using this software for blogging, newsletters in addition to my fiction. Short pieces are easier to plan and execute. I can use different media to assist my efforts. I can copy pictures, links, video and other forms of media into a project. This is very effective for visualizing aspects of a project like characters or locations. I place these in a sub-folder within the Research folder. Since I’m more organized and faster with short projects I have more time for fiction novels. It becomes an efficiency tool which allows me to spend more time on my longer projects which have more importance than ever these days. In relation to number 5, I don’t waste time staring at a blank screen since all the preliminaries are out of the way. As a writer, it’s not a good thing to sit staring at your screen. For me, beginning with organizing the project and working with development tasks means my ideas are so developed that I’m more than ready to write the project when the time comes. In relation to number 2, I can edit more effectively which is a plus for a novel. I don’t have the whole manuscript staring at me, just a piece that is manageable. I’ve found that trying to manage a whole manuscript in a single file structure means that I bog down with the entirety of editing. With Scrivener, the book is already segmented and ready for editing. It’s my multi-function tool. As I’ve written in earlier posts, the software is so flexible I can use it for any type of writing work. And because it is so powerful a tool I can plan a project like a blog series with growth potential and conversion into a different format as a book – and let’s face it, bloggers like the idea of transforming their blog posts into an e-book. This Scrivener template is designed for a year of blogs from AllIndieWriters. Another template for blogging from Thaddeus Hunt. If you use Scrivener, how has it improved your writing? If you haven’t started using Scrivener, what’s stopping you? What other usages can you share? Thanks for stopping by Story Empire today. I look forward to your thoughts in the comments section. Note: I, nor no one with Story Empire, is affiliated with Literature and Latte, maker of Scrivener. If you have support issues or licensing questions, please direct these to the company for proper assistance. Check out some of the other posts here for more. I try to use as much as I can. Looking forward to the next version. Thanks for the comment. Hi and thanks for the tips. I have one question…Why do you always have to validate after it gets back to 1 Day? I don’t get it. I have Scrivener for several years now and one it gets to that 1 Day I panic. Does everything erase or are you suppose to leave it alone. I need help for I am now up to day 6 and approaching that 1 Day Re-Validation. How does this work?? Help?? Migdalia, thanks for visiting Story Empire and leaving a comment. Scrivener does allow for sharing information across more than one computer and data is not erased, though you may not be able to access projects without the software installed and licensed. Contact the company for issues with licensing and purchase. I have it on my computer but haven’t taken the time to learn it. There are lots of videos available to learn and PDF tutorial that comes with the software. When you are between projects give it a try on something short. One of these days, I am going to have to give it a try. Thanks, P.H. Your tutorials are great! I’m like Craig. I almost don’t have enough time to do all I’m doing. I’m just going to be forced to let certain elements of improved technology evolve by me since the learning curve is so costly. Super post, P.H. I don’t think it’s really that bad since the editor is pretty intuitive for actual writing especially with a new project. I’d start with shorter writing like newsletters and blog posts, then move to novels. I’m not a Scrivener guy. Part of that is time to take on the learning curve. Time is so precious to me that I keep on using what I’m used to. I know it’s probably wonderful, but I don’t want to spend weeks getting up to speed. Understandable. I suggest learning use with a new project though I jumped in with ongoing novels. The organizational tools really appeal to me. Since I’m considering switching from a PC to a Mac in the next few months for my main desktop computer, do you know if I can simply reload the program I have, or do I need a different one for a Mac? You need one for Mac. They are very different versions due to the operating system difference. The new PC version will be integrated to Windows 10. I love Scrivener. Haven’t utilized it for blogging, however. I’m on a PC so I don’t have the update Staci is speaking of (and from what she’s said, I’m not anxious to upgrade, although I’m sure I’ll be forced to when the windows version comes out). I’m actually looking forward to the upgrade and all the new features. Try it for anything writing and I’m sure you’ll use it all the time after that. Thanks for pressing the post. You are welcome, Harmony. Keep using it and expand the uses, you’ll find it useful for all writing. One of these days, when I can find the time necessary to concentrate on learning the Scrivener ropes, I am sure I will love it. It sounds incredible, but a little scary! It’s really not at all. The editor is pretty much the same as any word processor program. All the available tools are there and more waiting to be discovered and used. I will pluck up the courage one of these days, probably with the next book! I’m a big fan of Scrivener. I’m still not thrilled with the update. It was kind of a tradeoff for me—the compile is a little better, but I don’t like having lost the project notes option in the inspector. Still, I much prefer Scrivener to Word. I can’t imagine a situation where I’d go back to writing in a word processing app. Me either, Staci. I’m looking forward to the PC version upgrade.